The 17th Century Was Not an Easy Time to be a Farmer. 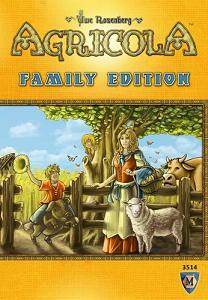 Agricola Family Edition is the introductory edition of Uwe Rosenberg’s celebrated classic. Designed for 1-4 players, the game features no cards and simplified rules, making it a perfect entry point to Agricola for younger players, or those who simply want a more casual play experience.